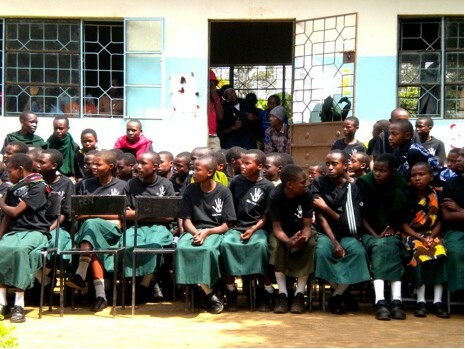 From June to August, 2012 I participated in a service learning program in Arusha, Tanzania. I decided that I wanted to go abroad at the start of my junior year in college. I’m studying nutrition and really wanted to expand my knowledge by having the kind of international experience that most people only dream of. I just thought it would be an incredible opportunity to make a difference in another country; and I knew that it would be a learning experience for me too. I’m from New York and I began my search by looking at all the different study abroad programs from SUNY schools to find one that fit what I was looking for. It was a little overwhelming at first because there were so many different options to look through, but I was able to narrow my search when I really focused on what I wanted out of the experience. Ultimately I wanted to go to a country in Africa that was somehow involved in health and nutrition. Eventually, I found a service learning program offered in Tanzania. The program was linked with an organization called Global Service Corps (GSC) that sends students to Tanzania for nine weeks to teach about HIV/AIDS, nutrition and sustainable agriculture. As soon as I saw the program, I was sold – not only was the program based in a country in East Africa, it was also related to the field I’m studying in school. The application process to be accepted into the program wasn’t too hard or too extensive. I had to fill out two applications, though: one for my university and one for Global Service Corps. The brutal part of the process was all the paperwork that needed to be done to go abroad. When I got accepted into the program I got a package in the mail with a whole stack of paperwork to fill out. I had to set a day aside each week to get all the paperwork done for the trip. It was overwhelming. I was constantly running around campus getting forms filled out and signed. It was stressful as deadlines approached, but it was all worth it in the end. When I went to orientation at my college about going abroad they mentioned culture shock and at the time I really didn’t think that it was something I was going to experience. I was wrong about that! It was challenging trying to adapt to a new culture. It really just took some time being immersed in the culture to get used to it. At first there were aspects that I didn’t really like or agree with, and I had to keep an open mind about everything. I think that’s the best way to overcome culture shock. If you have an open mind then your whole learning experience abroad will be enhanced. It took me about a month to really start to understand, accept, and finally enjoy the culture. I was uneasy about coming back home because I knew that my senior year of college was starting soon and life was going to get crazy again – deadlines for projects, papers, and applications. I was also uneasy about all the technology there is in the States. In Tanzania I didn’t have my iPhone or laptop; and it was enjoyable not constantly being bombarded with emails, text messages, and phone calls. I didn’t really know if I wanted all that when I got home. The transition has ended up going pretty smoothly. It’s been easy to adjust back to the lifestyle at home but I think it will still take me awhile to get back into the fast-paced lifestyle. Keep an open mind and be flexible. It isn’t always easy living in another country, especially when the country you’re traveling to has few similarities to your own. At times, specifically at the beginning, it can be very challenging to adapt to and accept different aspects of a culture that maybe you aren’t used to or don’t agree with – but it’s important to stay open. Being from the United States we tend to always be rushing to the next meeting or the next class or the next appointment. In Tanzania they don’t keep time like we do. It’s a laid-back lifestyle, so it’s not uncommon for events to take place hours late or for someone to show up a half hour late to class. It was hard for me to get used to that, but by the end of the program I didn’t mind it as much when my students would stroll in after I had finished half the lesson. Keeping an open mind will make your experience abroad that much more memorable. You’ll learn more, not only about the country, but also about yourself. I definitely missed the food at home. The food in Tanzania wasn’t at all like the food I eat at home. The flavor of the food was quite bland and there wasn’t a huge variety to choose from. Mainly the Tanzanian diet consists of meals such as rice, beans, ugali, rice, chipati, rice, cassava, rice, potato, and did I mention rice? I don’t think I will be having rice for a very long time! 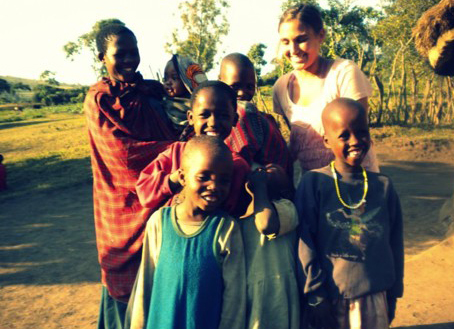 I got the opportunity to live with a homestay family while I was in Tanzania. This ended up being one of my favorite parts of the trip. My homestay family was so welcoming and good to me. I appreciate them so much for welcoming me into their home and making me feel like I was their own daughter. Homestay gave me a sense of how locals live from day to day and how life differs from what I’m used to. I liked having that complete cultural immersion. 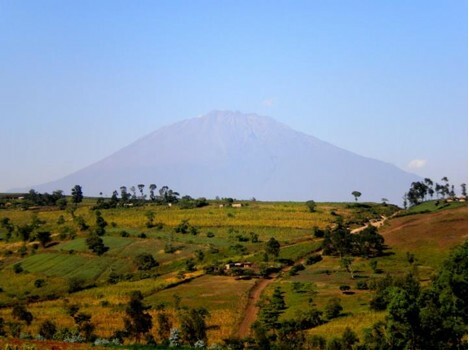 When in Tanzania, why not live like a Tanzanian?! What are your future plans for your career or going abroad? My trip made me realize how much of the world I still haven’t seen. It made me want to travel so much more to experience all there is out there. I will definitely be going abroad again and I might even make it back to Tanzania again! I think that my experience abroad will most definitely help me in my career. Personally I have gained a huge amount of confidence from my time in Tanzania and I was also able to gain a more global perspective on food and nutrition (which is the field I am studying). I realized after the trip that I want eventually find a job that involves some traveling because I really want to see and explore other parts of the world – even if it’s just traveling around my own country! Jaqueline’s open mind and can-do attitude will stand her in good stead as she sets out on her future career. Being in Tanzania developed her adaptation skills and she has learned how best to interact with foreign cultures and how to deal with the challenges that culture shock presents. Jaqueline studies food and nutrition – and in her studies, she is developing sought-after skills that she can easily parlay into future international experiences, especially working with NGOs in developing nations. We suggest that Jaqueline acts on her curiosity about foreign cultures by undertaking a volunteer or internship term in a country she has never visited. We recommend she search through our list of NGOs in order to find and contact appropriate volunteer-sending organizations. Generally, the smaller the organization, the more opportunity there is to expand your job description and gain more hands-on experience. While working or volunteering abroad, be sure to take note of the professional workplace culture in your destination/host country. Being able to effectively describe the cross-cultural working environment and how it differs from your home country’s professional culture is a valuable skill and will serve you well when you apply for jobs at home or abroad. Jaqueline could also consider applying for a master’s program abroad. We’d suggest studying in a non-English speaking country to maximize language-learning opportunities. Finally, we’d suggest going abroad for a longer amount of time. A minimum of three months is recommended to promote full immersion into a host culture. All NGOs is an excellent place to start your research if you’re looking for international opportunities with North American NGOs. Use filters to narrow your search. The North American Identity will get you thinking about North American workplace culture ina n international or comparative context, which is a key perspective if you hope to internationalize your career. The Lily Wong resume in Sample Resumes Written By MyWorldAbroad provides an example of how someone in nutrition developed multiple international experiences in the field.